We’re halfway through the 2015 Coffee Spot Awards with the shortlist for the “Best Espresso” Award, which was won in 2014 by Strangers Coffee House. When it comes down to it, I still tend to judge a Coffee Spot by the quality of its espresso. Of course, this is entirely subjective and down to taste. I would never knock a place that made a good espresso just because it wasn’t to my taste. This award is for those Coffee Spots which served me the best and most memorable espressos of the year. I started the Coffee Spot as a confirmed Italian espresso drinker, but my tastes have evolved and expanded over time. This year’s shortlists has six blends (a couple of which are distinctly old school) and six single-origins, with a surprisingly high number (five) from American Coffee Spots. Barnraiser, from Heart & Graft, has long been one of my favourite espresso blends, and Grindsmith didn’t disappoint with a dark, strong, smooth shot. Ironically, Grindsmith now only serves single-origins! Also shortlisted for the Smallest Coffee Spot Award. Coutume roasts all its own coffee. The espresso I had at its Institutti branch was lovely. It was pulled very short, resulting in a thick, viscous drink which coated the inside of the mouth like a liquid hug. It was slightly brighter than I would have normally liked, but I could forgive it that for feeling so good. Like the original, the second Doctor Espresso uses a 1950s Gaggia, lever espresso machine (the second oldest in use in London). Doctor Espresso uses a classic Italian espresso blend, with beans roasted in Italy, which is very much to my taste. 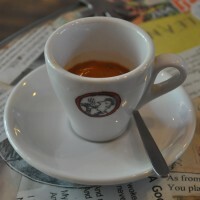 I had an espresso, which was as wonderful as ever, strong and smooth without being bitter. 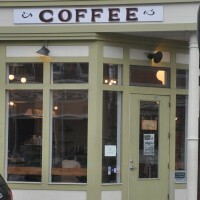 Mama V’s was also shortlisted for the Most Popular Coffee Spot Award. Philadelphia‘s Shot Tower uses Counter Culture coffee. I had its limited-edition Underdog espresso blend, mixing coffee from Papua New Guinea, East Timor and Burundi. Given its constituent parts, it was always going to be something special. As it turned out, it was a bright, zesty drink, with a rich, complex flavour, very much front of the mouth. 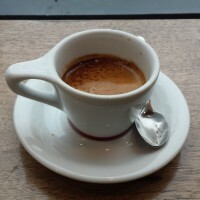 I tried a Kochere single-origin espresso from Bath’s Round Hill Roastery. I tried it as a flat white, then followed it up with an espresso, which was surprisingly fruity, but with the same complex, almost smoky, flavour to it that I’d detected in the flat white. It was also quite long, Upshot pulling it as 40g out to 20g in. Also shortlisted for Best Breakfast, Happiest Staff & Best Neighbourhood Coffee Spot Awards. Chicago’s Asado Coffee roasts all its own coffee. I had the Reserve Espresso, a blend of Ethiopian Sidamo and Java Islan, which was one of the best espressos I’ve had in a very long time. It was beautifully balanced, a complex set of tastes, all in perfect harmony, and with a glorious mouth-feel. Asado was also shortlisted for the Happiest Staff and Most Passionate About Coffee Awards. I’ve had several memorable espressos at Leya’s, but I have to say that the standout was a Nkora single-origin from Rwanda, roasted by Mission Coffee Works. This was an outstanding espresso, very well-balanced, fruity, with a nice acidic kick and just a hint of bitterness. 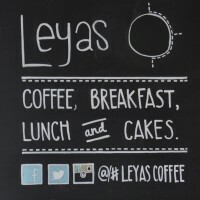 Leyas has also been shortlisted for both the Coffee Spot with the Best Basement and the Best Cake Awards. Winner of the 2013 Best Filter Coffee Award, Flat Caps also does amazing espresso. 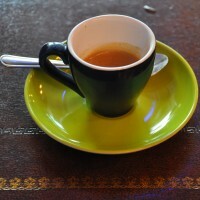 I had the Cult of Done Espresso from Workshop, which happened to be a single-origin. It was amazing, well-balanced, but with a complex, fruity taste. Also shortlisted for the Coffee Spot with the Best Basement Award. 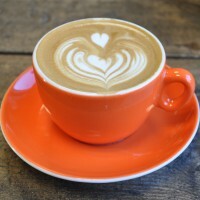 Serving a long-time favourite of mine, Intelligentsia‘s seasonal Black Cat espresso blend, New York City‘s Gasoline Alley pulled me an outstanding shot, better than some I’ve had at Intelligentsia itself when I’ve visited Chicago. The crema looked amazing and it tasted even better, with a thick, viscous texture like honey, going down like a liquid kiss. Gasoline Alley has also been shortlisted for the Smallest Coffee Spot Award. Jonestown Coffee has a bespoke roasted single-origin from Papua New Guinea, which was outstanding. The first sip was really well balanced, with a hint of fruitiness. Evolving as I drank it, the second sip was a little more sour, but still very pleasant, while the third and final sip was different again. All in all, very impressive and pulled commendably short. Since I know I like its Black Cat blend, I wanted to challenge myself, opting for the single-origin Colombian which was really fruity and zesty. Definitely a “boom” moment with the first sip. Also shortlisted for the Best Outdoor Seating Award. 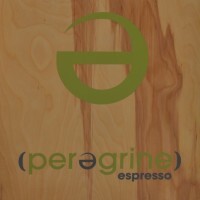 Peregrine only serves single-origins from Counter Culture. 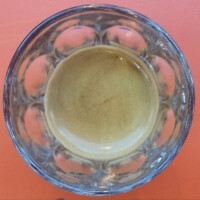 I tried an Ethiopian Idido bean (honey-processed) as an espresso. It was really bright, but very well balanced, with a nice, roof-of-the-mouth feel and none of the nasty, attacking-the-sides-of-the-mouth feel that makes me pull funny faces. Peregrine Espresso was also shortlisted for the Happiest Staff Award and is the only Coffee Spot shortlisted for both Best Espresso & Best Filter Coffee Awards.